If there's a way of making money, then make music, even if the instrument you're being asked to write for is a little on the bizarre side! That's been the philosophy of many composers who have written for, let's say, not the most familiar of instruments in the past. And then there are those who show interest in the latest newcomer on the scene and find a place for them in their new composition. 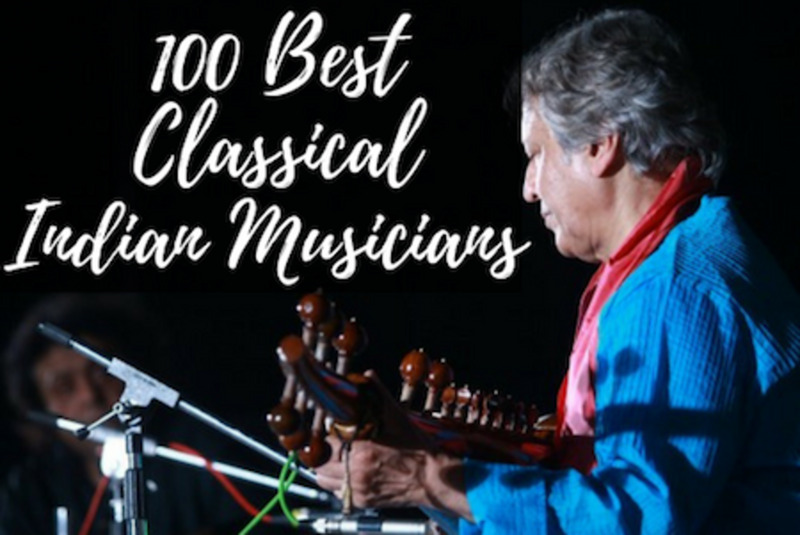 This article will explore 9 strange instruments and amazing compositions written to elevate their unique sounds. I first came across the musical saw listening to a recording of Khachaturian's piano concerto on the radio and was immediately captivated by its other worldly tones. I couldn't work out what it was and was amazed when the announcer mentioned its inclusion in the piece. Even more astonishing is that actual saws - yes, those tools for cutting wood we store in the shed at the bottom of the garden - double up to take a place in the orchestra. All you need is a violin or cello bow primed with rosin to draw over the teeth, clamp the saw between your knees and you're kitted out. If you've no bow handy, simply use a dowel. Of course there is more skill to it than that, and although you find players in Russia and rural America using hardware store saws, many professionals buy custom made saws which are easy to flex and include a handle at the thinner end to help in the bending process. Bending the musical saw into a flattish 'S' shape causes the blade not to vibrate at the points which are curved, dampening any unwanted sounds. By varying where the player places the bow along the saw they can alter the pitch. The wider end produces deeper notes climbing up the scale towards the tip, ranging in total about two octaves or so. To produce vibrato - that slightly wobbly sound that string players make - the player can either shake their knee or tremble their hand. Unless they're very knowledgeable it's unlikely they'd nail the correct answer - the arpeggione. I have rather a soft spot for it even though the only piece I know of specifically for the arpeggione is by Schubert. Delightfully lyrical and flecked with pathos, it remains a popular concert venue work for cellists and violists, who have claimed it as their own. Naturally its fortunes have revived in the recent upsurge in original instrument performance, and there are recordings of this lovely work available on the arpeggione itself. 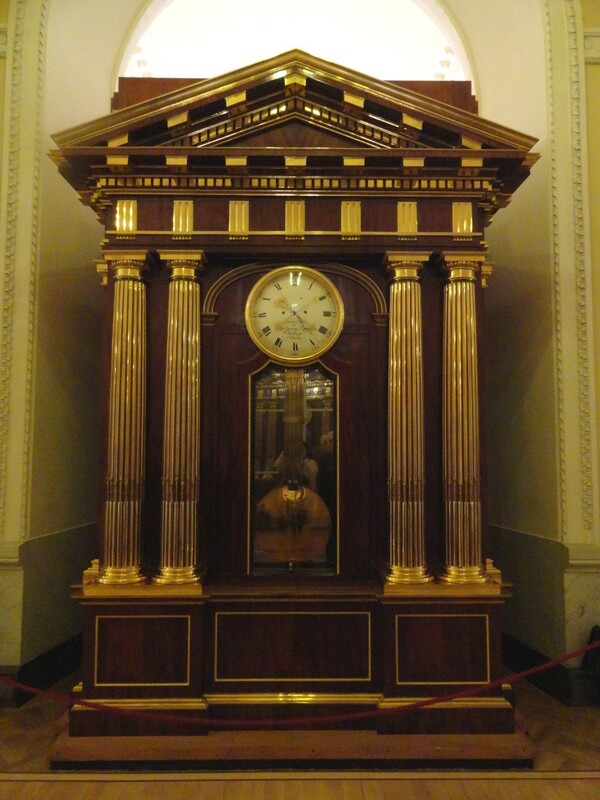 The German word for this type of clock was flötenuhr and Haydn wrote over thirty what we might list as time pieces for the timepiece at the luxury end of the market, at the behest of a musician friend who had developed clocks which could play music. 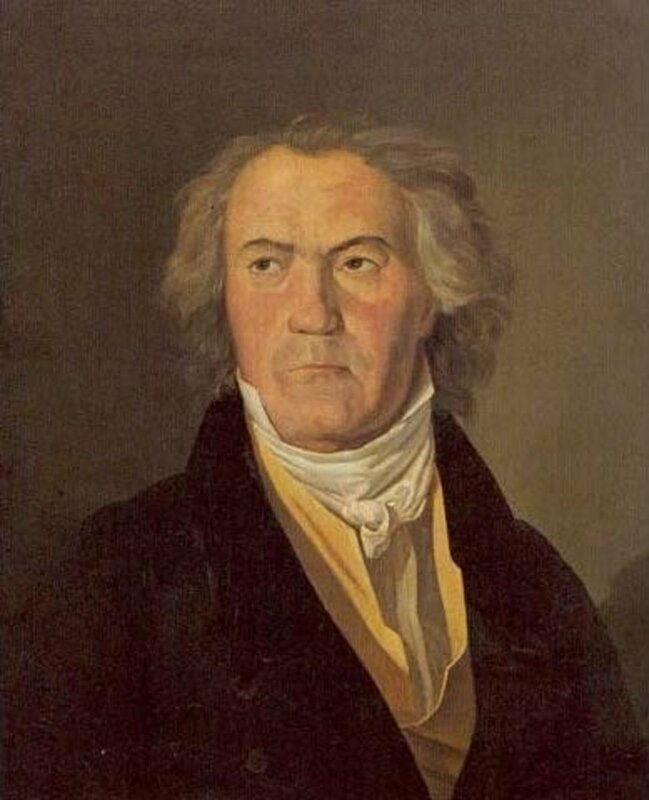 Joseph Niemecz was a multi talented monk and librarian and chaplain to the Esterhazy family who Haydn also worked for. Not only did Neimecz play several instruments, but he was something of an inventor of musical curiosities including musical clocks of which four still survive. In good marketing fashion, Haydn indicated that these miniatures could be played just as easily yourself should you have access to an organ, closely reproducing the sound of the tooting clock. Handel, too, wrote music for clocks made by Charles Clay, one of which is now housed in the Handel House Museum in London and another at Windsor castle. Clays's clocks struck every quarter of an hour, and he asked Handel to provide the music for several of them. The sound was provided by chimes or pump organs and are given an airing today on regular organs. In between all his duties for the royal household, Niemecz spent his spare time coming up with a musical spinning wheel and a musical chair which played a tune when sat on. Useful for children's parties perhaps. Haydn seemed to attract peculiar instruments, or rather his patrons did, by putting in a request to the well respected composer. He was to dash off a few pieces, please, and immortalise the anachronistic instrument they'd set their heart on conquering. There were other lira organizzata in circulation but the instrument was pretty well confined to Italian shores, and became virtually extinct. There remains one in captivity in the Victoria and Albert Museum, London. Ferdinand IV cast an unorthodox figure himself: he liked to rub shoulders with the lazzaroni, the lowest class of Neapolitan people, even down to speaking their dialect, and had a fish stall in the market. Eccentric or what? 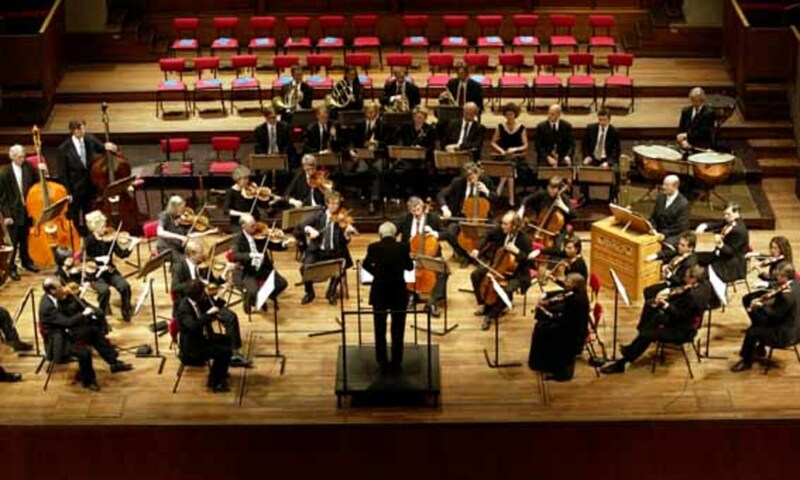 Between 1765 and 1775, Haydn was introduced to the baryton. This time it was the Esterhazy household which was responsible. Prince Nikolaus took a shine to this complicated looking instrument and was determined it wasn't going to get the better of him. It still survives, resplendent with its double f holes and delicate ornamentation around the curved edges and along the fingerboard, and you can see a photo of it above. Dutifully, Haydn fulfilled his role of writing music for the prince and produced a staggering 126 trios for viola, cello and baryton for him to choose from. 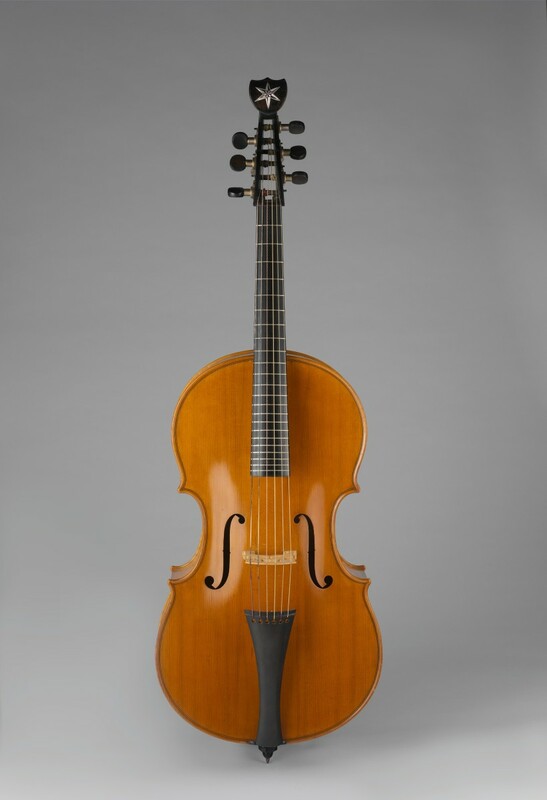 The baryton displays the characteristics of both a viola da gamba - an early renaissance instrument shaped like a double bass and played with a bow, and a bandora, which was plucked, vaguely resembling a many-stringed mandolin. So what do you do if you want the best of both worlds? Combine them, of course. The result - strings at the front as normal that are bowed, and more behind the neck which can be plucked with the thumb. Additionally, the front ones were made of gut and the hidden strings behind were metal which vibrated sympathetically when the gut strings were bowed and helped the instrument resonate and stand out (wholly fitting for a prince). Up to forty sympathetic strings could be thumbed at the back, so it must have taken some considerable skill to manage them all, and by all accounts the prince was quite a dab hand. The glass harmonica started out as a set of upright glasses or goblets filled with varying quantities of water which produced a gradation of pitches which were rubbed around the rim by fingers. 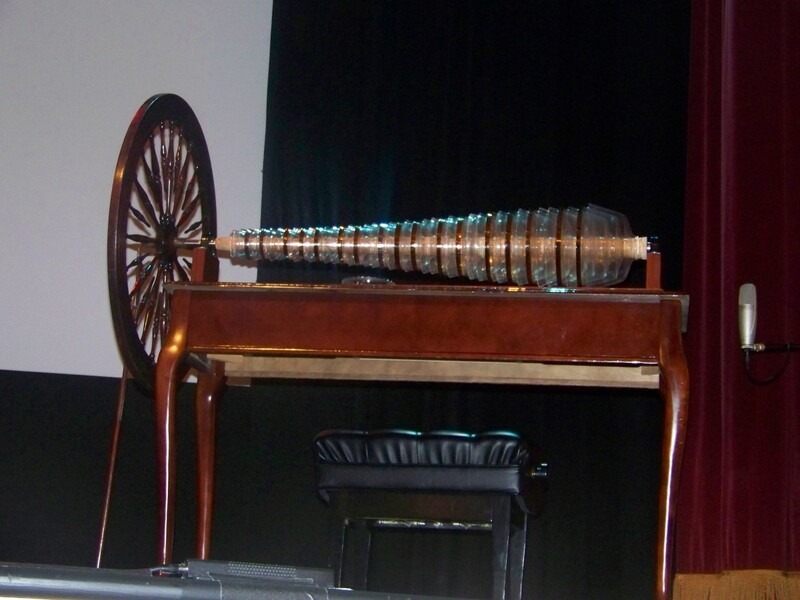 At this stage the instrument was called the glass harp but it was Benjamin Franklin of lightening conductor experiments fame, who radically modified the design by turning the vessels on their side and revolving them via a wheel. The operator could rest their fingers on the prescribed bowls without the tedium of circular rubbing. A copy of the instrument can be seen above. So when Donizetti was looking for an instrument to aptly colour his mad scene in his opera Lucia di Lammermoor, the glass harmonica was an obvious choice - already he would be feeding into its association with mental illness. These days we are a little more sophisticated in our assessment of mental instability and the glass harmonica enjoys a limited following without recourse to medication. 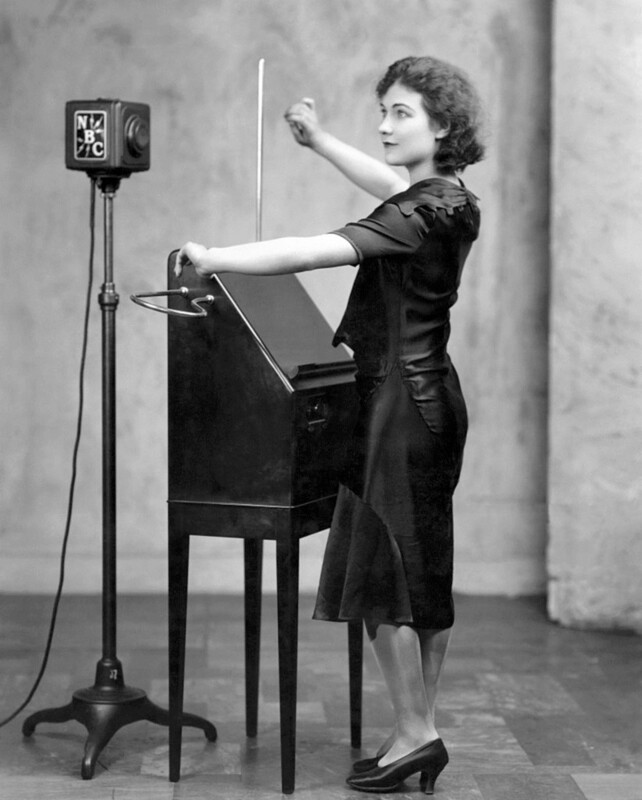 Invented in 1919, the theremin, also known as the etherphone or termenvox, came on the scene as a happy accident. It is the only musical instrument which doesn't have hands actually placed directly on it. It was named after its inventor, Russian scientist Lev Termen, also known as Leon Theremin, who was researching dielectric applications when he observed something unusual. Now I have to confess here that, much to my father's disappointment (he was a scientist of sorts) I was useless at physics and chemistry as a child and I haven't improved much since. As I understand it dielectrics function like a capacitor or insulator in an electric circuit, but he was using them in functions far beyond my understanding but they included work to do with x-rays and measuring gases in jars which also included sound. While he was in his laboratory he heard these audio tones change pitch as he moved his hand around. As he had studied the cello, he started motioning the tunes he used to play and hit on the idea of an electronic new instrument, one of the first of its kind. By the following year it was ready to go, fixing up an antenna instead of a foot pedal for controlling volume, and he was able to unleash his first performance on the brave new world. Today's theremins ordinarily use two antennae, one for controlling pitch, one to amplify volume and is connected to a loudspeaker. 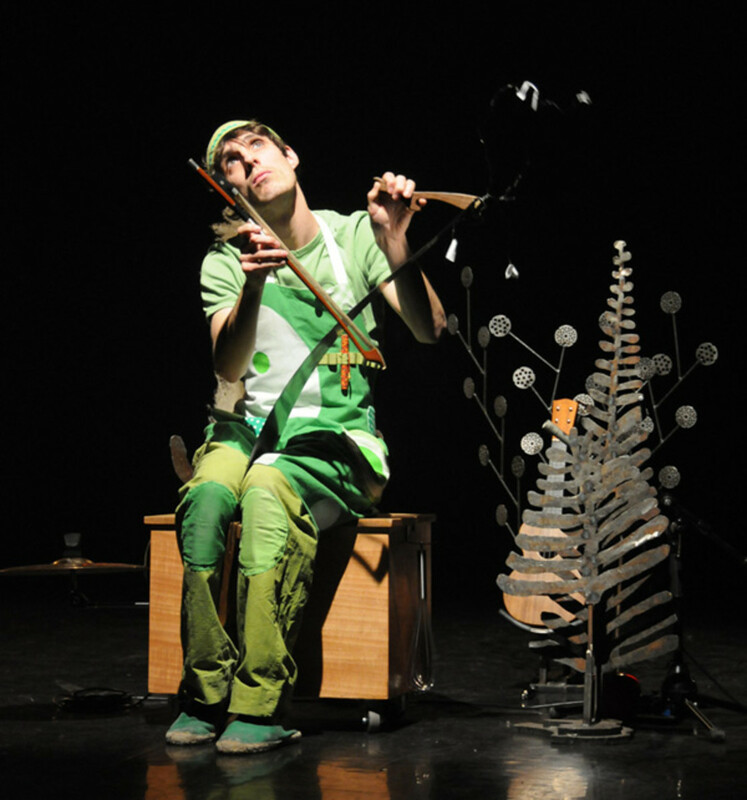 Sound-wise the theremin has some affinity with the musical saw - their ghostly sounds aren't a million miles apart. It's not surprising then that Shostakovich made use of it in his film score for Odna, as he had an interest in the musical saw. Through a commission from Lucie Bigelow Rosen, a wealthy protogée of Lev Theremin, the Czech composer Martinu wrote a fantasia for theremin, oboe and string quartet. In the 1950s Robert Moog popularised it by building theremins and incorporating it into his synthesizers. 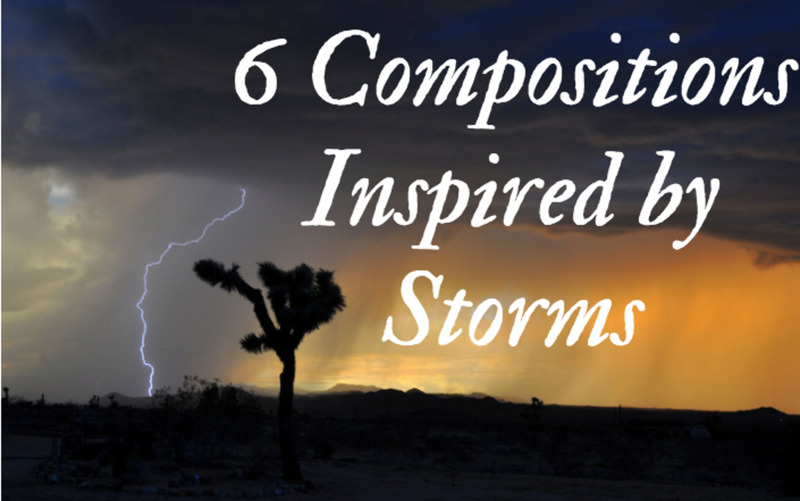 Its expressive tones been widely used in film music. A favourite of Messiaen, another electronic musical instrument invention came about at a similar time to the theramin. 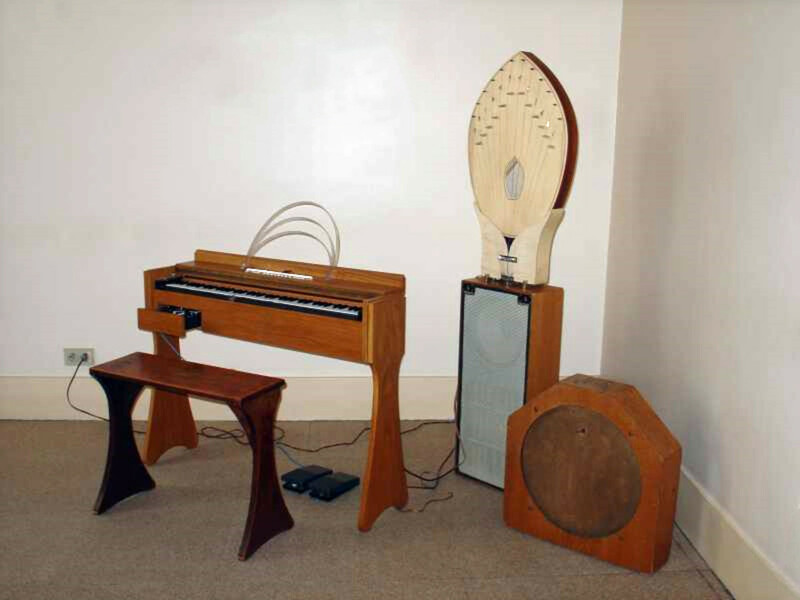 In 1928 the ondes Martenot was unveiled. Akin to the sound of the theramin, it made use of oscillating vacuum tubes. The first version, created by Maurice Martenot, required the ondist to wear a metal ring on their index finger and pass it up and down a wire to charm up strains worthy of the paranormal. Probably the most famous use of the onde Martenot is in the Thuranglia symphony by Messiaen although his first work for the strange sounding instrument, Fêtes des Belles Eaux called for six of them. If you could imagine how solar wind might fill your ears, think ondes Martenot - in fact the word ondes is French for wind. Production of Martenot's version ceased in 1988. These days the ondes Martenot has been superceded by the Ondéa and other comparable electronic instruments but I imagine getting hold of an original is like finding hen's teeth. Although Tchaikovsky narrowly missed out it is his use of the celesta with its delicate bell like tones that has brought this soft and gentle tinkling to wide recognition in the Dance of the Sugar Plum Fairy from his ballet The Nutcracker. So beautifully did he capture the wintry grace, it's almost as if the celesta was invented to show off the crystalline fairy. As she gracefully twirls in a glittering tutu you can easily visualise icicles glinting in the scenery. 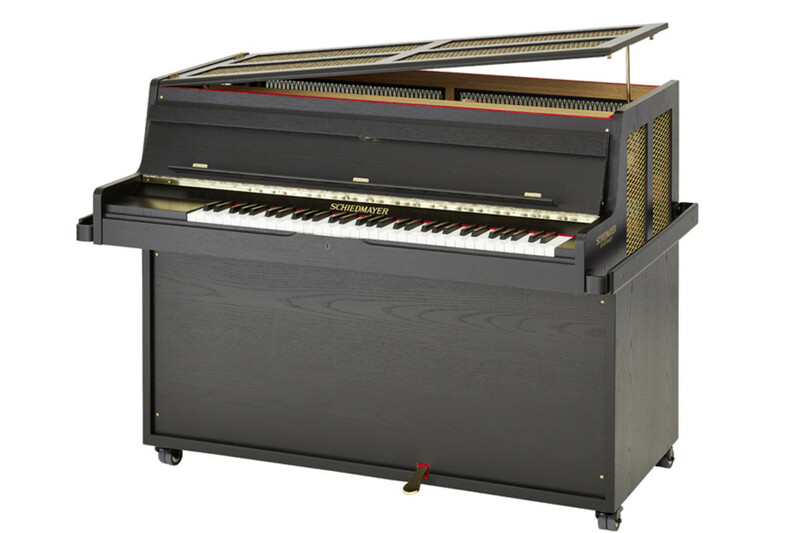 The celesta looks and is played like a small upright piano of four to five octaves. Inside the case metal bars struck by hammers produce its glockenspiel-type ringing. It isn't much louder than an actual glockenspiel so is confined to passages where the orchestral scoring is sparse or is doubled up by other instruments. Bartok was enamoured by the celesta's sweet tone and wrote an influential work, Music For Strings, Percussion and Celeste for it, a piece I poured over in great detail as a music student and have great admiration for. Some find he is an acquired taste but he absolutely did ring the changes in this influential musical landmark. 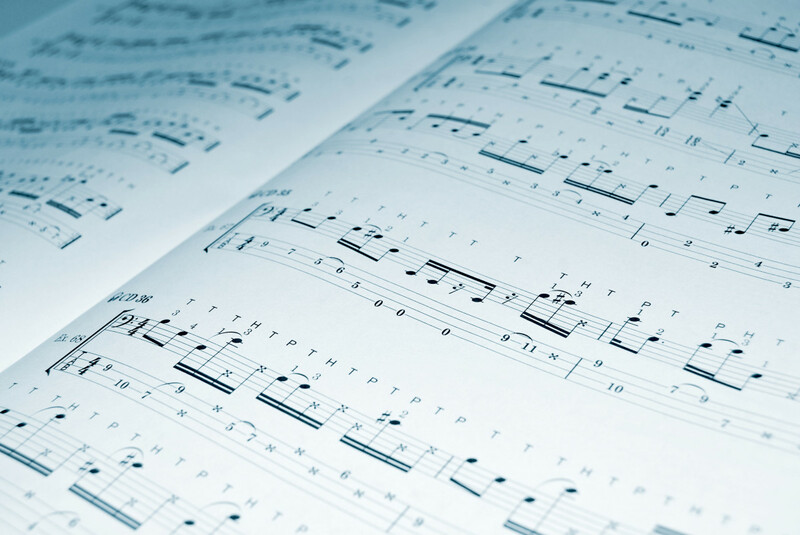 Why Not Listen to Classical Music? I'd forgotten about spoons, Flourish! But can't recall them being used in classical music, only seen them on variety-type shows. Clever though. Hi Linda. Thank you so much for your comments. I was at school in the 70s just as the early music enthusiasts were beginning to emerge fro the shadows and one of my fellow pupils was into viol and recorder consorts, so I was pretty much brought up on more unusual instruments. Thank you for you comments Chitrangada. I so enjoyed listening to the recordings - I was happily transported back in time to the the short eras of the baryton and lira organizzata! This is a very interesting and enjoyable article. Thank you for introducing me to some new instruments. They are certainly weird and wonderful, as your title says! Great article with lot of interesting information! I am familiar with some of these musical instruments. Thanks for sharing the details about the ones, which I wasn’t aware of. The pictures and videos are great. Thank You!